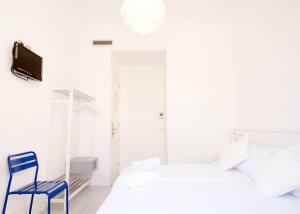 Set in a renovated classical building, DingDong Express is centrally located in Barcelona’s Gracia district. 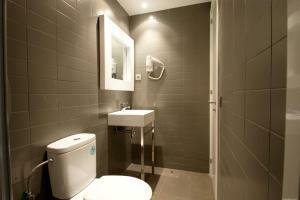 It is 5 minutes’ walk from Passeig de Gracia Boulevard and offers free Wi-Fi throughout. 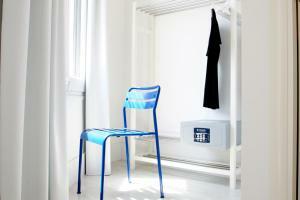 Featuring minimalist, elegant design, rooms at the DingDong Express have central air conditioning and a flat-screen TV. They are also heated and have a safe. 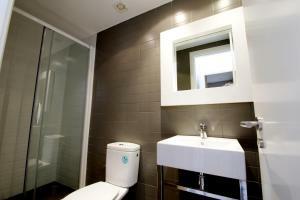 Most feature a private bathroom and some have shared bathroom facilities. 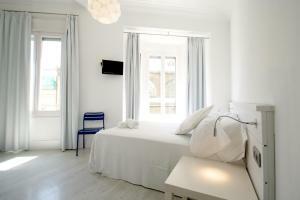 Many bars and restaurants in the trendy Gracia district are within a 5-minute walk of the Express guest house. DingDong Express is just 150 metres from Gracia FGC Train Station, while Fontana Metro Station is 500 metres away. You can reach La Rambla in 5 minutes by train. To open the main door, you must enter the code (last 4 digits of the reservation) on the keypad. In the lobby of the building you will find the check-in machine. You will need to have your passport or identity card ready, and your credit card to complete the payment. Once the payment is made, the check-in machine will give you the room key. There is a black box on reception for express check-out. If you have any questions, please contact the property with the phone number provided in the confirmation email. Please note that DingDong Express and DingDong Putxet share concierges and they work in both accommodations. 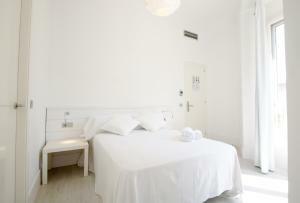 This room includes free Wi-Fi, central air conditioning, flat-screen TV, a safe and a private bathroom. Some rooms also have a balcony. Please note bed type is subject to availability. Rate: € 83.46 ... € 88.00; select dates below to get current rates. This room includes free Wi-Fi, central air conditioning, flat-screen TV and a safe. Some rooms also have a balcony. 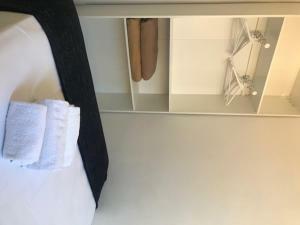 The bathroom is shared with 1 other room. This room includes free Wi-Fi, central air conditioning, flat-screen TV and a safe. The bathroom is shared with 1 other room. Rate: € 41.25 ... € 105.00; select dates below to get current rates.